Patricia is one of the new members of the Electrical Engineering Comunity blog and she planned to send us a couple of articles. We thank her for her contribution and remember that if you want to do like her, just send us a mail. Here is one of the essay she wants to share with you. Give your opinion in the comment section! In a wiring project, like many others type of projects, it is common to be discouraged and find yourself deeply stressed about final results. Too much stress can lead to inappropriate and bad quality works. It is therefore important to know what to do in such situations. We are going to talk about some of the problems causing by the stress in an installation and after what to do to overcome those. 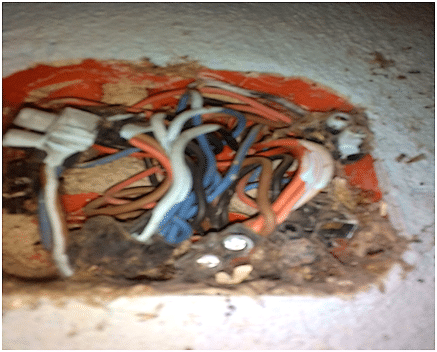 Electrical wiring project: which problems? It can come from client’s modifications and expectations or environmental changes. Constant changes: this is the nightmare of an electrician. It can be an advance of deadline, a suspension of a work, a modification of the entire wiring. This is one of the most common sources of stress for a technician, because he does not know exactly what the client wants and start worry about the project frequently: What is next? Should I resize the cables, control panel and breakers? Which tools should I buy now? No or bad adjustment of the site: sometimes the site it is not well prepared for the work and workers. In some countries there is not even water on the site; people are obliged to make long distance in order to get some. And even when you are aware of the problems presents in the site, you cannot predict their extension or depth. Move to smart electrical installations during the project: homeowners like that. The thing is that when you propose them some of those new technologies early in the proposal, they are not always interested but they enjoy asking that after and it can become stressful even when you are not the one who will add it. There are many smart appliances out there which can help the customers to build a smart electrical installation but at some point they might require changes in electrical installations but such change lead to a delay in the work with a risk of continuous changes. These are what the electrician do himself in the field with direct repercussions. Bad estimation cost of materials: this is common from newbies or senior technician. when a client give you the money asked for the project, that money it is supposed to covers the cost of material as well as the unexpected problems that may occurs during the installation so be aware of that. A bad estimation list of materials make you look as an inefficient and non-professional worker; you may intend to use bad/cheap materials or you own money to cover some expenses. It is important to be updated about the new prizes of products in the market. Although there are estimations like the total length of the wires or the total length of electrical conduits, which are difficult to evaluate, new technicians should approach seniors to help them avoid such stress. Misinterpretation of the norms and regulations: that is why an inspection it is strictly recommended before, during and after the work. If not, when the inspector will come to visit your site, he will ask you to process too many changes which could possibly extend your work schedule and the costs of wiring. Bad quality of materials or equipment: it is not always about the prize because bad materials can also be expensive. Experience easily helps to detect bad quality of materials. For example a copper wire should exclusively be in copper; The inner part of that conductor should be in copper not in aluminum and it is sometimes difficult for a newbie to know about that. Bad cables/sizing can lead to fire, poor/old tool can stop the work. So even when you feel that your equipment still work well, try to change , upgrade to new and easy-to-use technologies. No or less communication with the building contractor: it can seriously delay the work .When for example you are passing corrugated conduits through walls, If not working directly with the building contractor you may be obliged to break the bricks and cover them back on your own. Underestimation of the project: it happens. Very often, actually. It is true that there are some projects which look very similar that what we have done before and we can tend to work in the new project accordingly to the previous one. No do not do that. This is very stressful when it comes to add cables or wires , or buy new tools because of bad preparation . Try to keep good business relationships with the client: understand clearly what he/she wants and do not get mad about its requests; Let him/her know how much it is going to cost to make changes. You can call for an expert of internet of things for example if you are not comfortable with smart homes. Do not hesitate to ask advices from experienced electricians via forums for examples because they have been through similar difficulties. Always keep in touch with the inspector, He knows the norms and regulations and you should too. Stay calm and confident: You know your work and even when there are some problems which can disturb you, there are always solutions from applications, online videos, books as well as previous experiences. And since you are supposed to be an EXPERT just show it. Think until you get answers. A wiring project can give you serious headaches when not well planned. Never forget that a problem can hide another one and that is the bad side of renovations if involved. So take your time when working and only focus on good results. What’s your opinion on Patricia’s tips to stay motivated during a wiring project? Do you have more tips or stories to share? Comment below! or copy this trackback: http://engineering.electrical-equipment.org/others/electrical-wiring-project-tips-stay-motivated.html/trackback from your own site. Thanks alot for the motivation tips…really liked them and m gona try them real life situations! The above electrical tips are really impressive. Wiring work is going on in my home. I will surely pass this information to my electrical contractor. I am sure the above post will help them in their work. Thanks again for sharing such a valuable post.